Chemical Guys Premium Grade Microfiber Applicators (8 Pack) Only $7.99! Chemical Guys Premium Grade Microfiber Applicators are professional grade applicators for every detailing job. Amazon has their Chemical Guys Premium Grade Microfiber Applicators (8 Pack) for only $6.49 when you clip the 20% off coupon and purchase it through the subscribe and save option. 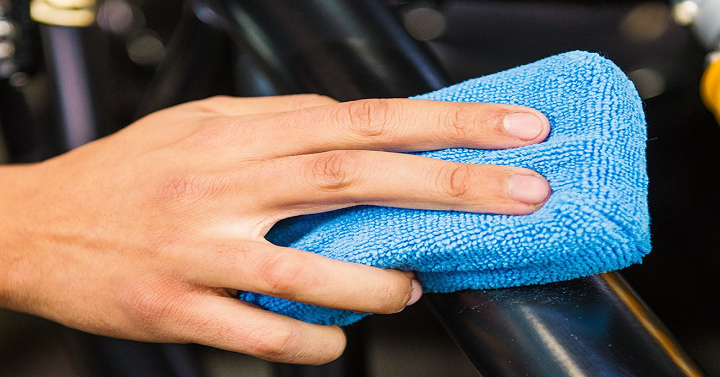 Microfiber is the industry-standard cloth for touching and wiping cars because it is super-soft, super-absorbent, and will not scratch paint when used properly.